Komori total support helps maintain high print quality, reduction of common problems and reduced costs since all K-Supply brand consumables are supplied by Komori. For quality control, it is essential to adjust machine conditions to meet changes in the environment and variations due to aging. Komori uses its know-how as a press manufacturer to ensure quality control by not only supplying materials but also through recommending and providing machine maintenance. 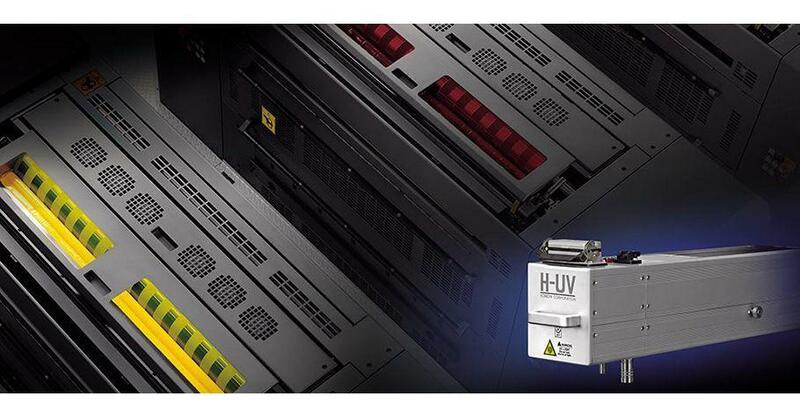 The Komori H-UV System is an innovative UV curing system that uses a UV lamp developed with Komori know-how and high-sensitivity UV ink. With just one lamp mounted in the delivery, this system offers high print quality and reliability as well as excellent economic and eco-friendly performance. Since introducing the H-UV Innovative Curing System in 2009, Komori has shipped close to 700 H-UV-equipped presses. Now LED joins the lineup. * Performance and values will vary according to specifications. Specified values may be changed for the purpose of product improvement.